Dr Acharya is an accredited Sub-Specialist in Infertility and Reproductive Medicine. He studied Medicine at the University of Southampton, then undertook his research and subspecialty training in Aberdeen. He has been a Consultant at Derriford Hospital since 1997 and has worked in the field of reproductive medicine for over 21 years. 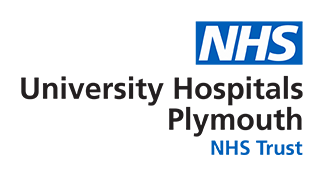 SWCRM is based within Derriford Hospital, a large teaching hospital, which encourages the development of doctors within the field of fertility. Registrars are often involved in research and provide invaluable input to the team of professionals. Lead by Sally Doidge, Senior Embryologist/Laboratory manager, the embryology team have many years of experience in working in this scientific field and are more than happy to answer any queries regarding treatment. They endeavour to provide the highest quality of treatment and care whilst understanding the anxieties and concerns of the couple. Ultrasound scans are an integral part of treatment and are carried out by a highly trained team who are also involved in the monitoring of treatment cycles. The nursing team comprises senior nurses, staff nurses and Health Care Assistants(HCAs). Bridget Male, Lead Nurse Fertility, is keen to ensure that the service provided by the nursing team is efficient and professional and that staff are friendly, approachable and available to answer any queries you may have at any stage of your treatment. The nursing team have vast experience both within gynaecology and fertility. Our admin team provide invaluable support; they currently include Medical Administrators, who will guide you through the organisation of the treatment process, from making your first appointment to directing any questions or concerns you have to the appropriate member of the team who can help. The team also comprises Medical Secretaries and a Quality Manager. The SWCRM is supported by Keith Chapman, Care Group Manager, and Nickie Gavican, Service Line Manager under the auspices of the Women’s and Children’s Care Group.